Rossiya train runs on the longest railway passenger route in the world, passing 9288 km through the territory of one country. At the 1778th km of Transsib the train passes through the border of Europe and Asia. The train runs 207 km along the famous Baikal Lake. 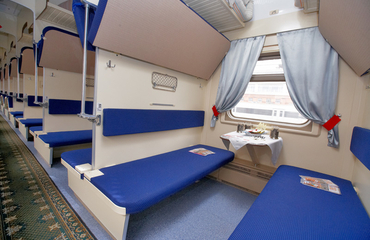 The carriages of Rossiya train are painted in the colors of the Russian flag. 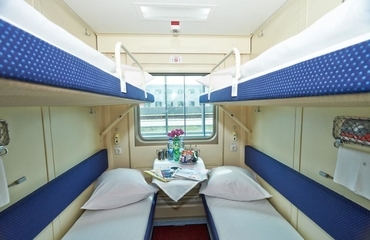 open-plan carriage with couchettes; no a/c; capacity: 52-54 berths. 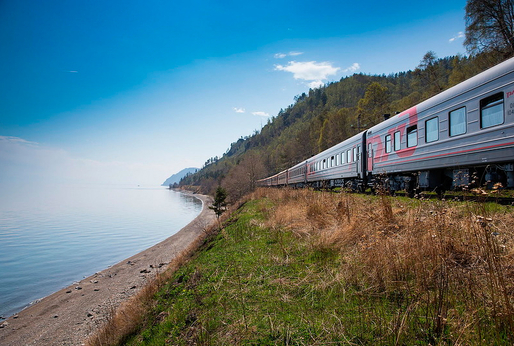 Since the 30th of September 1966 Rossiya train passes through the whole country, connecting Moscow and Vladivostok. The train departs from Yaroslavsky station in Moscow, passes through the territory of 8 railways of Russia, changes time zones six times and completes its journey in Vladivostok. The route runs through 18 regions and crosses 16 large rivers. The train operates the whole year round. The journey time is 144 - 146 hours. The standard composition includes one first-class carriage, five second-class carriages, two third-class carriages, a restaurant carriage and a staff carriage. All carriages are equipped with biotoilets, LED lights, electronic information panels. Each compartment is equipped with TV, socket, call button, the door is locked with magnetic cards. The doors of the compartment are equipped with electronic locks with magnetic key cards. The restaurant offers a wide range of dishes and drinks, which can also be ordered in the compartment. 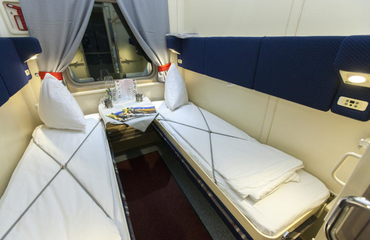 Everything that the passenger needs on the way - refrigerators, microwave ovens, electric tiles, shower cabins, household rooms with a hairdryer, iron and ironing board - is provided for passengers of the train Rossiya. Hot meals are delivered in the compartment several times a day (when buying a ticket with meals).